This holiday season, Philips and Disney have teamed up to offer some pretty cool NEW home tech products for any child on your gift list! Make bedtime something for children to look forward to with the new Philips and Disney Imaginative Lighting SoftPals range. 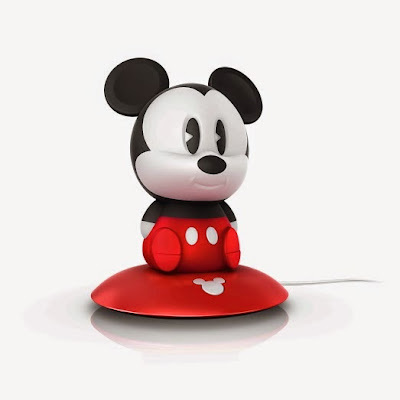 Perfect night time friends, the SoftPals in the form of classic Minnie, Mickey, as well as Monster’s Inc. stars Sulley and Mike, help little ones feel safe at night. The easy-to-use night light casts a comforting glow so they feel comforted when they go to sleep or wake up in the middle of the night. Worry free, these child friendly lights feature Philips innovative LED system which stays cool to the touch. 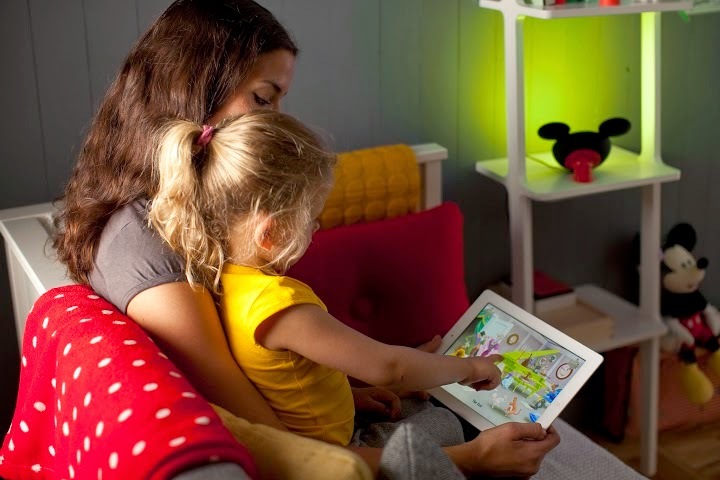 With no need to change the lamp, thanks to Philips leading LED technology, simply plug in the nook free, child friendly adapter and play. There are no small parts or sharp edges and cables are under a cable binder - Philip’s clever design keeps little fingers safe. 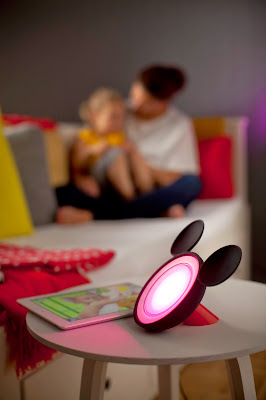 When off their platform, children can simply squeeze SoftPal to maintain the light, making them a useful nighttime guide. 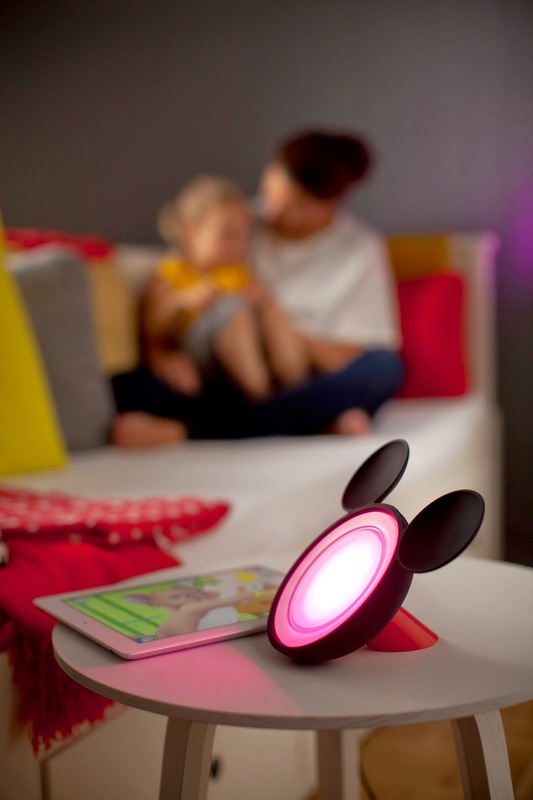 Coming in four iconic Disney characters, SoftPals add a touch of Disney magic into your child's bedtime routine. Story time is one of the most important moments in the day for parents to bond with their child, so making this time count is everything. 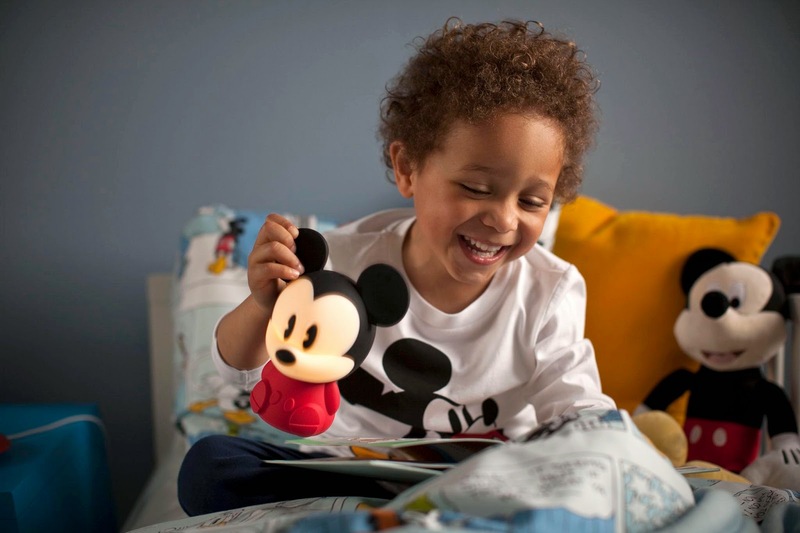 Philips and Disney Imaginative Lighting StoryLight makes reading together more magical than ever. 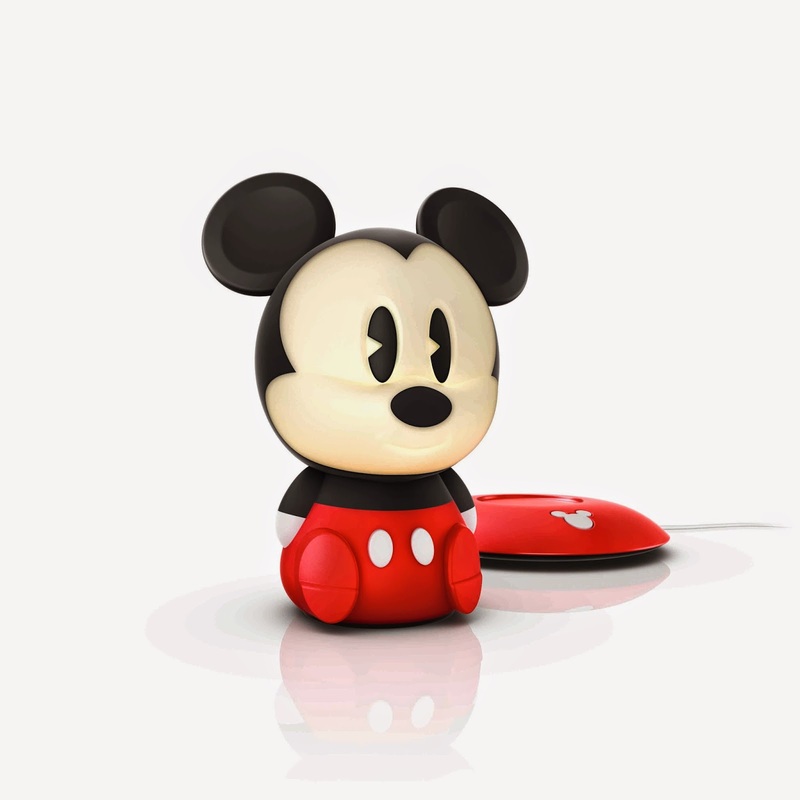 This innovative Mickey Mouse shaped light cleverly synchronizes colored light with classic Disney stories read through an interactive e-book on an iPad. As parents read with their child, all the colors of the rainbow light up the world of their story, bringing it to life through light and filling their bedroom with wonder and magic. Simply turn every page of the e-book in the Disney Storytime app to experience the transformation of your child’s room from every-day to fantastical; immersing parent and child in a shared magical moment. Multiple lights can be synchronized to work together, making the experience even more fun. With over 16 million colors to choose from families can create a different mood every time they read to suit their favorite stories, time and time again. The 120 lumen LED light emits soft diffused light that isn’t too bright, so little ones feel comforted and relaxed just before bedtime. The StoryLight is available in two versions, as a starter pack and single pack. The starter pack, including both a StoryLight and a bridge connecting to your Wi-Fi router, contains everything required to start experiencing light and reading in a completely new way. For multiple rooms, the single packs, which include the stand alone StoryLight, allow for more lamps to be added. Families who already have the Hue, Philips’ revolutionary, LED system, can simply purchase a StoryLight single pack as it easily connects via the Hue bridge. StoryLight helps you create fond memories with your child that will last a lifetime. Easy and intuitive to use, children can now experience their favorite Disney story in a full color immersive environment, enhancing their reading, learning and more importantly their imagination.